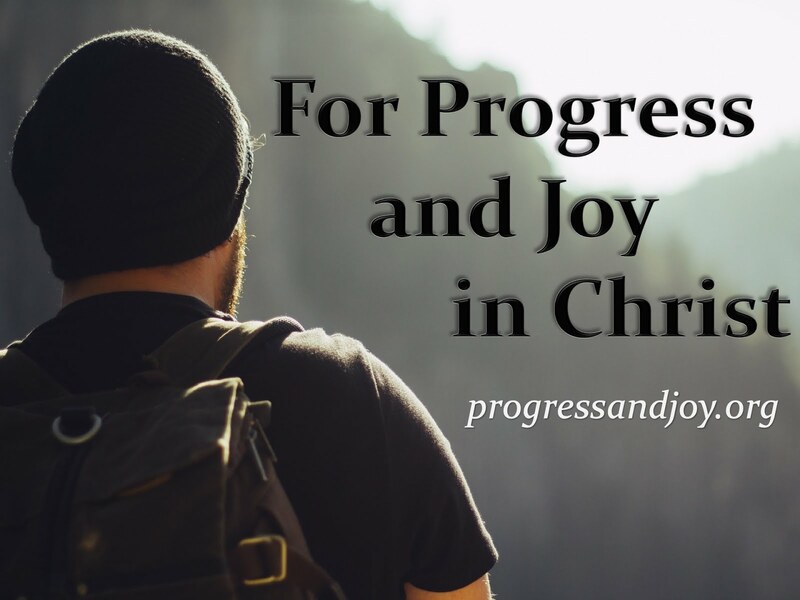 Progress and Joy: To Judge or Not to Judge? Have you experienced a situation in which you lovingly sought to correct another Christian concerning a serious sin in their life, only to receive a most offended “Don’t judge me!”? The underlying assumption presupposes that condemning someone’s sinful actions disobeys Christ command to judge not that you be not judged (Matthew 7:1). Besides, didn’t Jesus say that one should remove the log from their own eye before pointing out the speck in another’s? Likewise, did he not tell the Pharisees, concerning the adulteress woman, “let him who is without sin among you be the first to throw a stone at he (John 8:7)?” But are these conclusions correct? Is it wrong for Christians to point out other Christians sinless lifestyles? How do we respond to Jesus’ words “judge not"? As one studies the Bible it becomes clearly evident that the above responses to the issue of judging are sadly mistaken. The position that Christians are prohibited to admonish and rebuke one another’s immoral behavior results in a relative and subjective code of Christian ethics. That is, removal of spiritual accountability and church discipline allows for each individual Christian to live life in any manner he or she wishes. Furthermore, this illogical position goes contrary to the biblical position on the issue as we will see. The Bible speaks clearly on the Christian’s responsibility and obligation to hold each other accountable to the teachings of the Bible. The Bible is clear that Christians are to hold each other to spiritual and godly standards of moral conduct. The same Jesus who said that we are not to judge also gave commands to confront Christians who are living immorally. In Matthew 18:15-20 Jesus prescribes how the church is to go about dealing with someone who sins against another. The person who has been sinned against is to go and confront them about their sinful behavior. If the person does not repent, then they are to take two to three others with him and confront the person a second time. Finally, If the person still refrains to change they are to be taken in front of the church and given an opportunity to repent. If the person still refuses to change then he is to be released from the congregation. This passage seems to go contrary to the way that most think about judging. In my estimation the contemporary church flips this logic on its head. We do a fine job of judging the un-churched but stray away from confronting the immoral behavior of the Christian, stating that it is wrong to judge each other. Contrarily, the apostle Paul states that we are not to judge those outside the church but are to judge those inside the church. Paul’s reasoning seems rational. The foundational reason we are to take serious the sins of Christian’s inside the church is because sin in the church affects the health of the entire church. Thus, Paul says in verse 6 “do you not know that a little leaven leavens the whole lump?” In other words, sinfulness within the church doesn’t just affect the person sinning; it also affects the health of the church as a whole. Therefore, when sinfulness is brought into the church the church has an obligation to confront it, and remove it so as to not be affected and ultimately damaged by its disease. Although judging is obligatory upon the church toward Christians who live openly and habitual sinful lifestyles, it should always be done in love and with the hope of reconciliation. In the passage mentioned earlier in Matthew 18 Jesus concludes his thought with a very familiar (and usually misinterpreted) passage: “For where two or three are gathered in my name, there am I among them.” Here Jesus is referring to one who repents of his sinful ways and reconciles with the brother he sinned against. The entire reasoning behind church discipline is for reconciliation. Similarly, Paul in 1 Corinthians 5 is not pictured as a bully thrashing all Christians with shortcomings. In fact, Paul mentions elsewhere that “all have fallen short of the glory of God (Romans 3:23),” and even referred to himself as the “chief of sinners (1 Timothy 1:15).” Paul’s hope in confronting the young man in 1 Corinthians 5 was that he would ultimately see his sin, repent, and be reconciled to the church (see verse 5). Elsewhere Paul calls for church discipline and confrontation to be done in gentleness, “brothers, if anyone is caught in any transgression, you who are spiritual should restore him in a spirit of gentleness (Galatians 6:1).” This word “gentleness” is a medical term and was used in reference to mending a broken bone. Thus, we as Christians must confront, but do so with the utmost gentleness and love. As Christians we are called to love one another. But, love involves telling each other the truth and drawing each other’s attention to sinful behavior that we may be blinded to. In doing so, we not only help the individual who is blinded to their sin (see James 5:19-20), but also protect the Church body from sin leaking in (1 Corinthians 5:6-8). Ultimately, our hope is that we are continually being reconciled with one another and with God our father. Have you ever experienced a situation like the one described above? What do you think of the conclusions made here; do you think Christians have a place for judging each other?